 Global Britain’s Director Ewen Stewart was given the very significant honour of delivering the Adam Smith Lecture at Pembroke College, Cambridge recently. A copy of his presentation can be accessed by clicking this the link here. Ewen spoke on the subject of ‘The Abolition of Risk. Economics on Speed.‘ The thesis behind the lecture was that we are living in a super-charged environment after the financial crisis, which he argued remained largely unresolved. He examined the growth of the state and micro regulation, a world of structural fiscal deficits and monetary experimentation, increasing societal expectations and heightened political tension leading to an atmosphere where policymakers/ politicians are forced to try and abolish ‘the cycle’. While this micro management may well ‘kick the can down the road’ it does not solve the underlying problem – heightening the risk of a major economic dislocation in the longer term. Ewen argued we are on a monetary policy and fiscal treadmill that we cannot easily escape and the consequences are negative for productivity and distorting for asset allocation, with ever-greater regulation and micro management. While the issues explored go well beyond the UK’s relationship with the EU those interested in BREXIT may wish to look at slides 36 and 37 in particular, coupled with a number of slides on the European yield curve which clearly demonstrates that the Eurozone remains heavily mired by under-performance and dysfunctional policy choices.